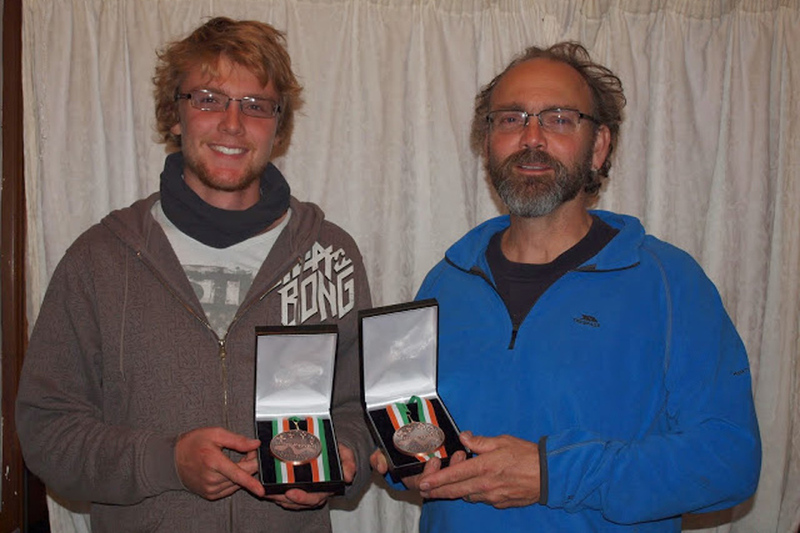 The father and son team of CCKA members John and Hamish Wilkinson come 3rd in the 2014 Liffey Descent. They finished in a fantastic time of 2 hours 53 minutes in the Canadian Double category. The Liffey Descent started in 1959 as a marathon canoe race on the river Liffey that was destined to become one of the most famous and exciting canoeing events. 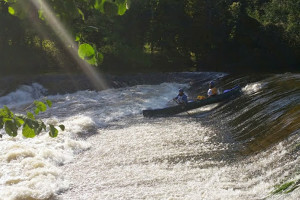 Over the years its reputation has grown and attracted paddlers from all over the world to experience both the event itself and the unique atmosphere of fun and friendship that surrounds it. 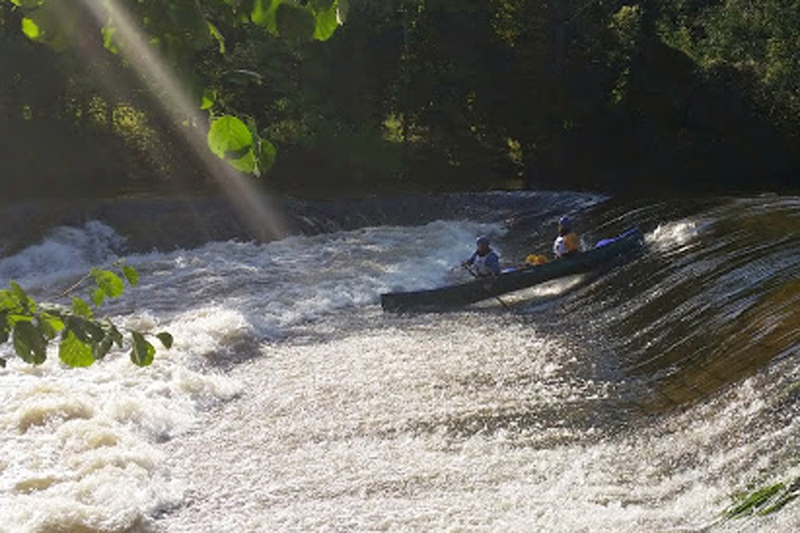 The race course is 28.2 Kilometres consisting of 10 Weirs and 1 portage. It starts at the K Club above Straffan Weir, Co. Kildare and about 18 miles later finishes at Trinity Rowing Club in Dublin. 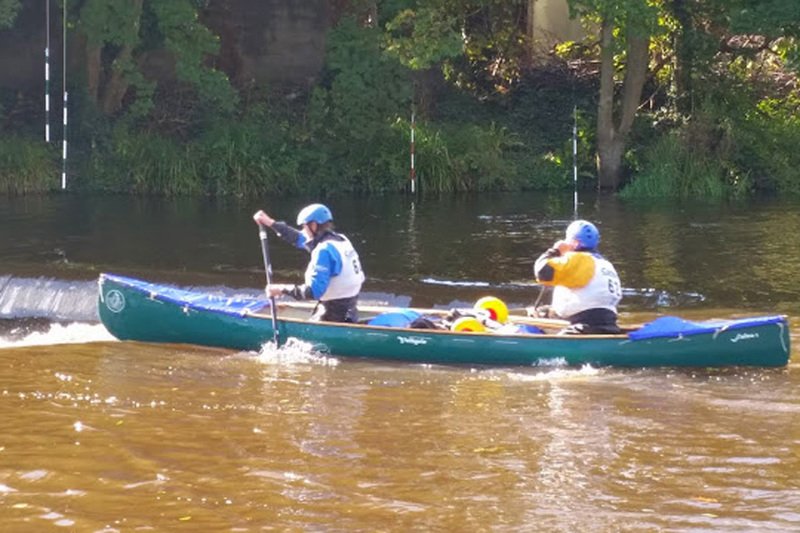 Approximately a third of entries are in the true racing classes and the remaining places are taken up with ‘fun’ paddlers who are there to enjoy the event no matter how long it takes them to get to the finish line. The challenge is will they make it to the finish without a swim! Many canoe clubs from at home and internationally attend the event, returning year after year. John gives us his take on the race. 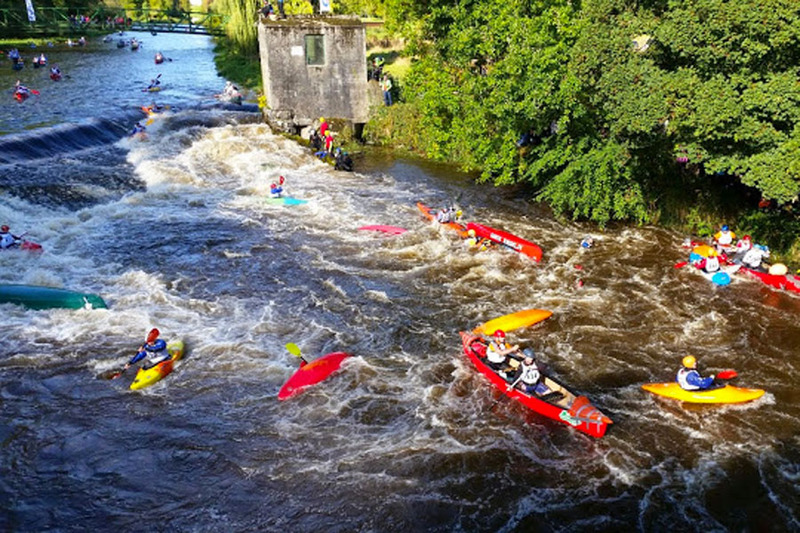 “The Liffey is a brilliant event. No matter what your intent there is a place for you, as long as you can find the nerve to get down. I’ve had years with lots of swims, one year of no swims in an overloaded triple with Hamish and James and this year an entertaining crack at a good result in the double with Hamish. We had planned for a serious race, got left behind at the start (not ready for the starter). We set off at a good pace and just got more committed as we went and found ourselves passing people. We had to fight off a few challenges along the way and despite the two swims made the podium. We’re keen for another crack at it next year with a little fitness training before hand. This year was truly satisfying but I’ve not had a year that it wasn’t great fun, despite the frequent swimming! “Most take the safest route for the length Every class has a favoured route. Most open boats head for the far right but some go over the fish steps. The water levels vary from year to year and this also dictates which side of a weir to run. Once the real racers have blasted over the rest of the field appears and, depending on their nerve, stupidity, blind panic head on over. From the start it isn’t hard to hear the commentator at the weir giving an enthusiastic monologue of doom. The classic phrase is ‘and there’s carnage at the weir’. Staffan weir certanly sorts out the racers from the rest. After Staffan Weir the race heads down a long and winding route through what is called ‘The Jungle’. This section is narrow and has overgrown banks and is full of twists and turns. The longer boats have more trouble here and it’s an exciting section for practicing the use of steering strokes! Picking a good line with an eye for the flow makes a huge difference here.